The Gifts of the Magi: A Cure of Arthritis? A remarkable new treatment for arthritis made from boswellia serrata (frankincense) and commiphora molmol (myrrh) has been found to be as successful at reducing pain and inflammation caused by arthritis as conventional painkillers.The two ingredients have a medical history of relieving the inflammation associated with rheumatic and osteopathic forms of arthritis.There have been more than 20 scientific studies carried out on these two ingredients in the past 15 years for the treatment of arthritic and other inflammation, the most recent of which was this year at the Indira Gandhi Medical College at Nagpur in India. The boswellia serrata tree is found in India. The study found that the myrrh extract significantly reduced swelling in hands and feet. It is thought to work by reducing the levels of leukotaxine (a chemical produced by injured tissue that causes inflammation) as well as helping to reduce the permeability of blood capillaries, which can also add to inflammation and pain in joints and surrounding tissue.Myrrh, when taken orally in the same trial, helped reduce inflammation associated with ulcerative colitis and Crohn's disease, which are also thought to be triggered by high levels of leukotaxine in the intestinal tracts. The first UK trial of this treatment is being carried out by Dr Robert Jacobs, a GP from Devon, on 30 of his arthritic patients. You can read the rest of the article here and here. I am not sure how much of this to believe. But I do think that that some gold would help me to forget my aches and pains for a while. One of the difficulties facing readers of the New Testament is how to reconcile the teachings of Jesus with the theology/letters of Paul. Anyone who has done serious study of the New Testament will recognize that Paul can seem to be quite and enigma. It is not always clear that his theology lines up with what was taught by Jesus. No wonder some New Testament scholars have labeled Paul as the "founder of Christianity," meaning that what Paul founded is different than what Jesus had in mind. 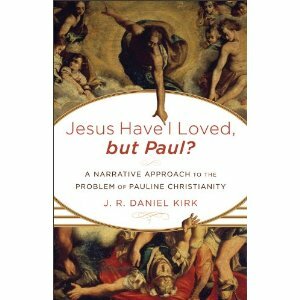 It is this perceived conflict between Jesus and Paul that has led J.R. Daniel Kirk to write Jesus Have I Loved, but Paul? (Baker Academic, 2012). Here is a description of the book. Readers of the Bible are often drawn to Jesus's message and ministry, but they are not as positively inclined toward Paul. What should people who love Jesus do with Paul? Here Pauline scholar J. R. Daniel Kirk offers a fresh and timely engagement of the debated relationship between Paul's writings and the portrait of Jesus contained in the Gospels. He integrates the messages of Jesus and Paul both with one another and with the Old Testament, demonstrating the continuity that exists between these two foundational figures. After laying out the narrative contours of the Christian life, Kirk provides fresh perspective on challenging issues facing today's world, from environmental concerns to social justice to homosexuality. The book will be released in January. I am grateful to Baker Academic for providing me with an advance copy. Over the course of two weeks (January 9th to January 20th) Baker will sponsoring another blog tour similar to the one I participated in for Bruce Fisk's A Hitchhiker's Guide to Jesus (Baker Academic, 2011). Each day over the two weeks different bloggers will be reviewing and interacting with the content of Kirk's book. I will be reviewing chapter 7 Liberty and Justice for All? on January 17th. I also plan to give away a copy of the book. In the mean time, you can visit the blog tour hub and view the short videos below to hear Kirk lay out a bit of what he tries to communicate in the book. What's the Problem with Paul? 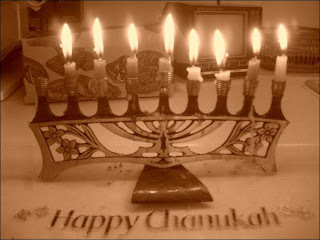 In honor of the second night of Hanukkah here is a video. Thanks to my colleague in the History Department, John Moser, for pointing this out to me. Reading and understanding the Bible can be difficult. Whether you are a beginner or a scholar, it takes a lot of work to understand the complex book that is the Bible. It is made up of documents written in three different languages, across thousands of years, in a variety of genres and cultures. Sometimes what readers want/need is a guide to help them navigate the Bible, to give them some background information. Among the numerous resources available are Study Bibles that allow the reader to look at footnotes or a side column and glean some information that helps make sense of what the text is saying. For those interested in a more formal approach there are many, many introductions to the Bible and more are published every year. But few of these resources can be utilized by both Jews and Christians. 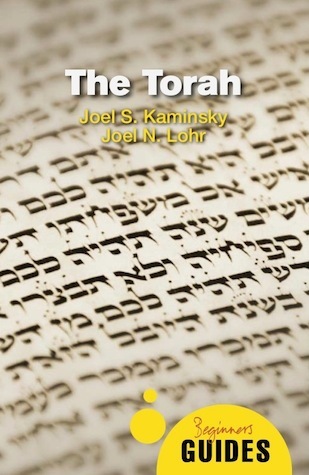 Although Jews and Christians have a common interest in the 39 books that make up the Hebrew Bible/Old Testament, there are few resources that can be shared by both. Invariably, each book or study Bible is designed with a target audience in mind and little if any thought or space is given to how the other faith community interprets and/or uses the scriptures. Sadly this is the case with most resources that are not used by those with more scholarly interests. 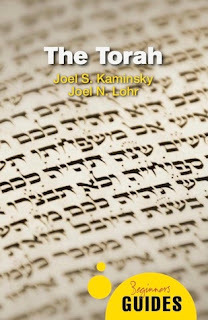 But this gap between the two faith communities is reduced in the new book by Joel Kaminsky and Joel Lohr The Torah: A Beginners Guides (Oneworld Publications, 2011). Kaminsky is a Jew and Lohr a Christian. Together they combine their respective faiths and expertise to introduce readers to the first five books of the Bible commonly known as the Pentateuch or Torah. In addition there are a number of dialogue boxes that briefly looks at topics such as “Monotheism vs Monolatry,” “The Meaning of Purity in Leviticus” and “The Voice of Women in the Torah,” to name just a few. The volume is complemented with a helpful glossary of terms, lists of suggested readings for further study, and a set of time-lines. This book is ideal for those who want to learn more about the first five books of the Bible, but also need a book that is accessible. Kaminsky and Lohr do a good job of introducing some important concepts for readers who are new to the subject. It would also be ideal for undergrad Bible classes and small study groups. The book only costs $9.95 which makes it even more attractive. This is the first night of Hanukkah, the Jewish celebration of lights. This is when Jews across the world commemorate their victory of Antiochus IV Epiphanes who outlawed Jewish worship and desecrated the temple. The earliest source we have for the holiday is Josephus' Antiquities 12. Now Judas celebrated the festival of the restoration of the sacrifices of the temple for eight days, and omitted no sort of pleasures thereon; but he feasted them upon very rich and splendid sacrifices; and he honored God, and delighted them by hymns and psalms. Nay, they were so very glad at the revival of their customs, when, after a long time of intermission, they unexpectedly had regained the freedom of their worship, that they made it a law for their posterity, that they should keep a festival, on account of the restoration of their temple worship, for eight days. And from that time to this we celebrate this festival, and call it Lights. I suppose the reason was, because this liberty beyond our hopes appeared to us; and that thence was the name given to that festival. Judas also rebuilt the walls round about the city, and reared towers of great height against the incursions of enemies, and set guards therein. He also fortified the city Bethsura, that it might serve as a citadel against any distresses that might come from our enemies. You can learn more about the holiday here. 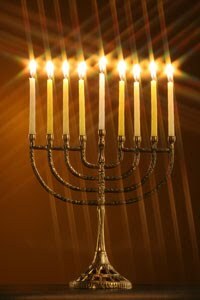 Happy Hanukkah to all my Jewish readers! We're not dead yet! Christianity is still the world's largest religion. It is not unusual to read or hear about the steady decline of Christianity in the world. And to some degree this is true, at least in places like Europe and North America. But in the two-thirds world, Christianity is growing. The result is that the growth of Christianity has been somewhat consistent over the last 100 years, but the location of the growth has shifted. 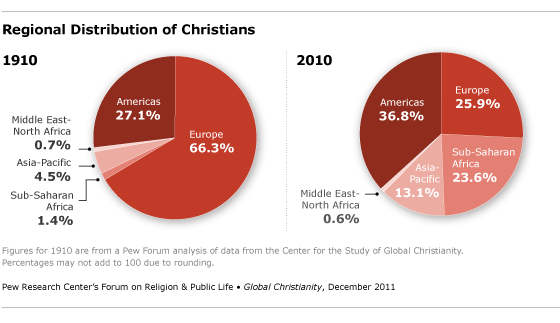 The Pew Forum has released a report on Global Christianity. Here is a bit of what they have to say. A comprehensive demographic study of more than 200 countries finds that there are 2.18 billion Christians of all ages around the world, representing nearly a third of the estimated 2010 global population of 6.9 billion. Christians are also geographically widespread – so far-flung, in fact, that no single continent or region can indisputably claim to be the center of global Christianity. A century ago, this was not the case. In 1910, about two-thirds of the world’s Christians lived in Europe, where the bulk of Christians had been for a millennium, according to historical estimates by the Center for the Study of Global Christianity. Today, only about a quarter of all Christians live in Europe (26%). A plurality – more than a third – now are in the Americas (37%). About one in every four Christians lives in sub-Saharan Africa (24%), and about one-in-eight is found in Asia and the Pacific (13%). The number of Christians around the world has nearly quadrupled in the last 100 years, from about 600 million in 1910 to more than 2 billion in 2010. But the world’s overall population also has risen rapidly, from an estimated 1.8 billion in 1910 to 6.9 billion in 2010. As a result, Christians make up about the same portion of the world’s population today (32%) as they did a century ago (35%). This apparent stability, however, masks a momentous shift. Although Europe and the Americas still are home to a majority of the world’s Christians (63%), that share is much lower than it was in 1910 (93%). And the proportion of Europeans and Americans who are Christian has dropped from 95% in 1910 to 76% in 2010 in Europe as a whole, and from 96% to 86% in the Americas as a whole. Christianity is still the largest religion in the world followed by Islam. But the center is moving elsewhere from Europe and North America. As they say in real estate. It's all about location. You can read the whole report here. There site also provides some interactive maps and a quiz. I got eight out of ten correct. We have just ended another term at Ashland. I am still grading, but the students are probably already enjoying their break. Some are enjoying it more than others because they graduated this month. For them, the process is over. For others, it will continue another six months or more. Over at the Christianity Matters Blog, Casey has posted eleven things that students in seminary should know. I liked what he had to say and decided to repost here. The only thing I adjusted was number eight by assuming that, at least for my students, their supporting spouse could be either a husband or wife. So if you are currently in seminary or thinking about enrolling, have a read of what Casey has to say. And do please visit his blog and perhaps leave a comment. In order to learn the trade well, it would be wise to spend time reading books on writing and research, knowing the better researcher and writer you become, the better speaker you will be. In addition, the better writer you become, the better reader you will be, helping you to better process the overwhelming material you will read during your time in seminary. Receiving your diploma does not mean your studying is over. You could argue seminary is just the beginning of your theological education, giving you the ability to pursue further self-study. In order to serve a church well, those graduating from seminary need to continue to study, research, and write, faithfully exercising the skills developed during their time in seminary. Not only are you making friends for life, who will be a rock for you to lean on during your days in ministry, but you will learn more outside of the classroom in conversations with friends than during lectures. Since this is true, you should take as many classes as you can with your friends, and discuss the lectures and readings as often as possible. I have learned more, and been challenged more, during conversations with friends at Starbucks and over lunch than I would have if I solely relied on my personal study of class lectures. I have spent time getting to know several professors throughout my seminary career. 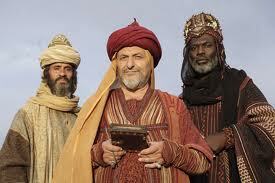 These men have given me solid biblical advice, as well as challenged me in my spiritual life. It is worth it to put forth the effort to get to know a few professors on a deeper level. Don’t coast through your seminary career thinking you will minister when you take on your first church. Find a church now, plug in, spend as much time with the leadership there as you can, and minister to as many people as you can, even if it is not from the pulpit. In addition, you should give the church you attend during seminary the same opportunity to examine your calling to the ministry as you did your home church. In order to find books at a reasonable price, spend time finding the discount book sellers in your area. A high concentration of seminary students equals a greater potential for a gold mine of cheap theology books to develop in your local used book stores. Visit these stores often; especially, at the end of a semester when other students may be unloading their unwanted books. What one student does not want, may be a gem to another. Most conferences will allow you to attend at a cheaper rate while you are in seminary. Take the opportunity while you have it, knowing that traveling with friends and networking with other pastors from around the country is priceless. Not to mention, most conferences give away books like they are candy. It is not uncommon to walk away with 20-30 free books written by your favorite authors and speakers. Seminary can easily dominate all your free time, so it is important you set aside time to spend with your husband/wife, remembering she/he is your first ministry. Even a theological education is no substitute for one’s devotional life. Setting aside time to do your daily devotion is crucial to your growth in the Christian life. Nothing is more stressful than having to write three papers and study for two tests in the same week. 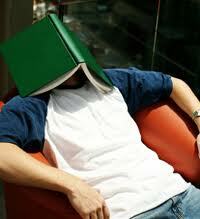 In order to avoid that type of stress, setup a schedule and plan at the beginning of each semester and stick to it. If you planned well, and started your projects early enough, you should have no problem turning in your best work with minimal stress. Seminary is a time for serious study and preparation for ministry, but it is also a time to enjoy life. Don’t always act so serious, and take the opportunity to get involved in intramural sports, as well as seek out a hobby other than reading. Always make sure to set aside time during the week to relax with friends and family. This week's giveaway winner is Carl S. Sweatman! He is the winner of N.T. 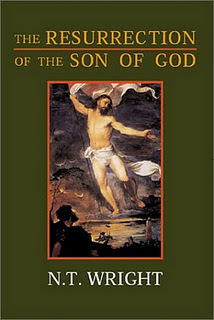 Wright's - The Resurrection of the Son of God (Fortress, 2003). Carl, please send your details to jbyron@ashland.edu and I will send the book out this week. Remember, you have five days to claim the prize. Thanks to everyone who participated in the giveaways the past three weeks. Friday book giveaway will resume sometime after the holidays. In the mean time, many thanks to all of my readers.